Former U.S. Secretary of State, Hillary Clinton is seen speaking, in this undated photograph received via the BBC, during an interview at Claridge's hotel for the BBC's Andrew Marr Show which was broadcast in London, Britain October 15, 2017. 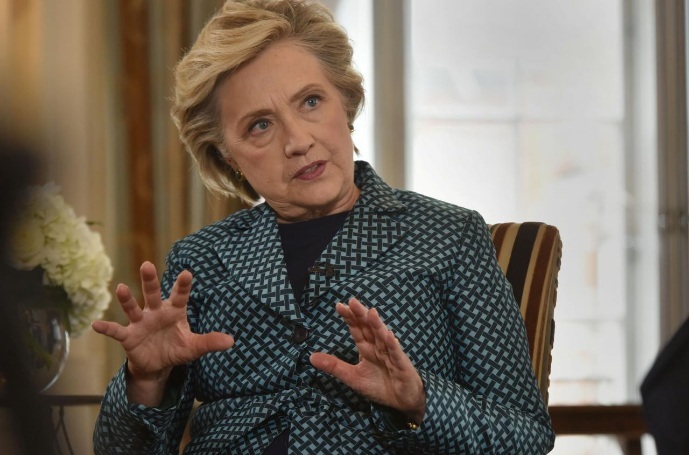 SEOUL - Former U.S. presidential candidate Hillary Clinton said on Wednesday that “cavalier” threats to start war on the Korean peninsula are “dangerous and short-sighted”, urging the United States to get all parties to the negotiating table. North Korea’s relationship with its main ally and trading partner China have been strained by the rapid pursuit of its weapons programs, with many of Pyongyang’s recent tests coinciding with major Chinese events. Former U.S. presidential candidate Hillary Clinton said on Wednesday that “cavalier” threats to start war on the Korean peninsula are “dangerous and short-sighted”, urging the United States to get all parties to the negotiating table.